Ed Sullivan introduced The Beatles, and was almost immediately drowned out by the screams of girls in the studio audience. The Beatles continued to play twice that evening on The Ed Sullivan Show and “Beatlemania” had officially arrived stateside. 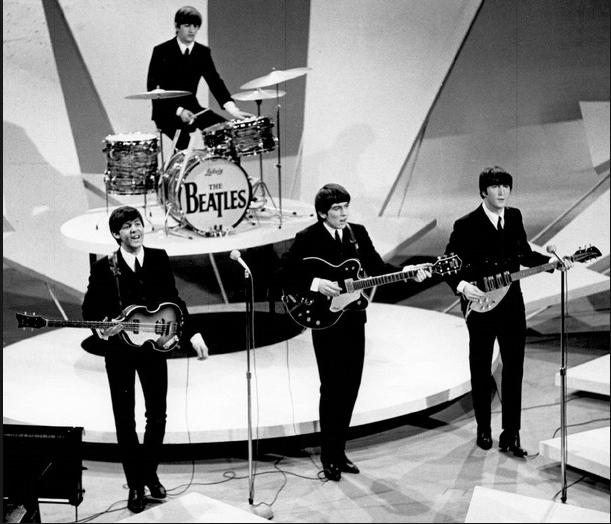 The exposure of The Beatles on The Ed Sullivan Show in 1964 became a touchstone event for an entire generation and for music lovers everywhere. Never before had so many viewers tuned-in to a live television program, which with 73 million viewers, was three-fourths of the total adult audience in the United States. A music group from England had never crossed over into American culture in such a way, and, at the time, it wasn’t too common for a variety television show to book an English rock band. 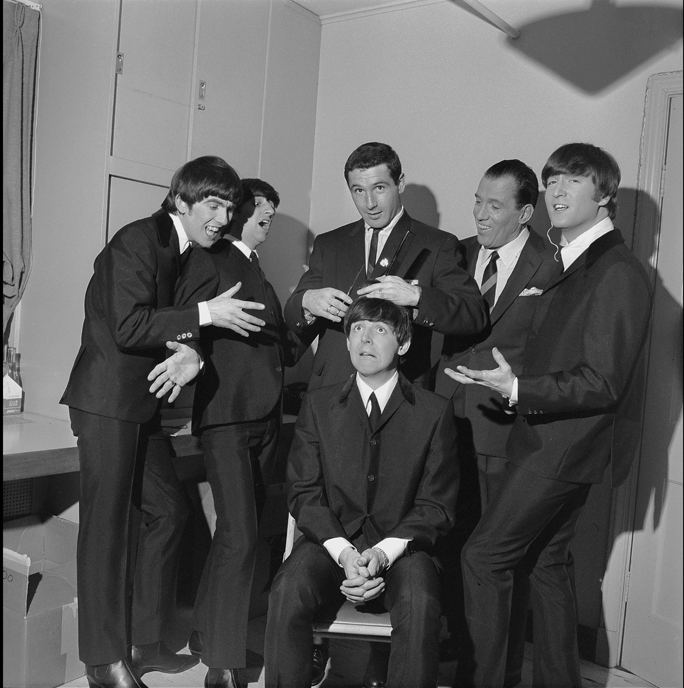 However, because Ed Sullivan traveled to England frequently, and had a great eye for talent, The Beatles caught his attention and earned a slot on his popular variety program on CBS. As the legend goes, Ed Sullivan had seen the crowds of Beatles fans at London Airport trying to catch a glimpse of the band on their way back from touring Sweden in 1963. Again in 1963, The Beatles and Ed Sullivan’s paths collided, when he personally witnessed another huge airport reception before The Beatles played the Royal Variety Show. It became incredibly clear that The Beatles had taken over England, and were ready to ignite teenagers in America with their catchy pop songs, adorable personalities and witty banter. Sullivan later told The New York Times, “I made up my mind that this was the same sort of mass hit hysteria that had characterized the Elvis Presley days.” With that, Ed Sullivan booked The Beatles American debut, which became a pivotal moment in American cultural history. Our Beatwear replica of the suits worn by The Beatles on The Ed Sullivan Show. 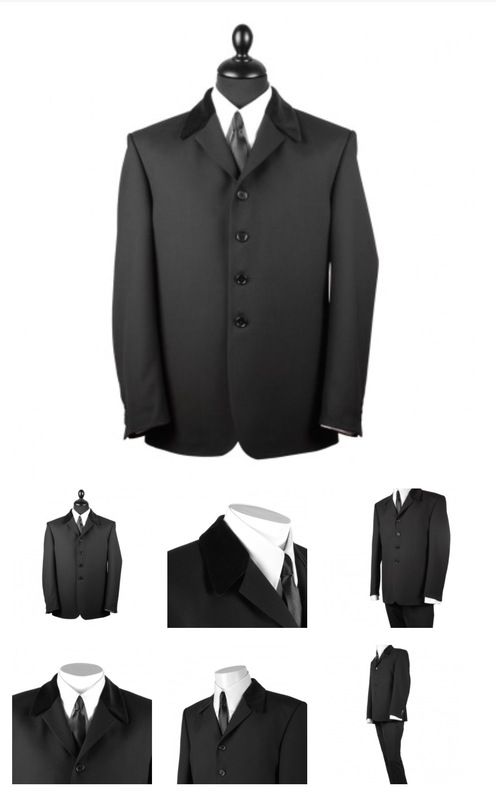 The Beatwear Sullivan Suit consists of Jacket and Trousers in a Black Pure New Wool. • The 1960’s cut single breasted jacket has side vents, a 4 button fastening with a Styled Lapel and Gorgeous Paisley Print Lining. Made from 100% Pure New Wool (320g/m) and features a black velvet collar. • The matching Drainpipe Trousers have an elasticated adjustable waist band, with two side and one seat pocket. The width at the hem is 7 inches with a circumference of 14 inches.